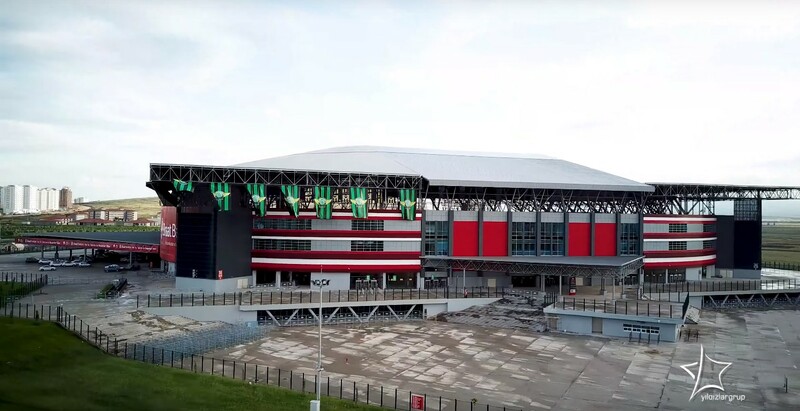 Though the nationwide stadium programme delivered over two dozen stadia in a decade, few of them were located in the continental east, considered underdeveloped. Diyarbakir is among the main exceptions, along with Gaziantep. 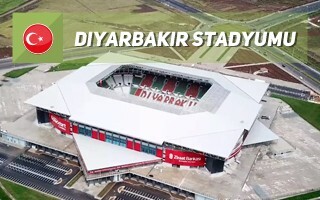 Here the tradition of football passion is rooted deeply, since Diyarbakirspor was formed in late 1960s and quickly moved to the top tier, growing to become one of the biggest teams outside Istanbul. 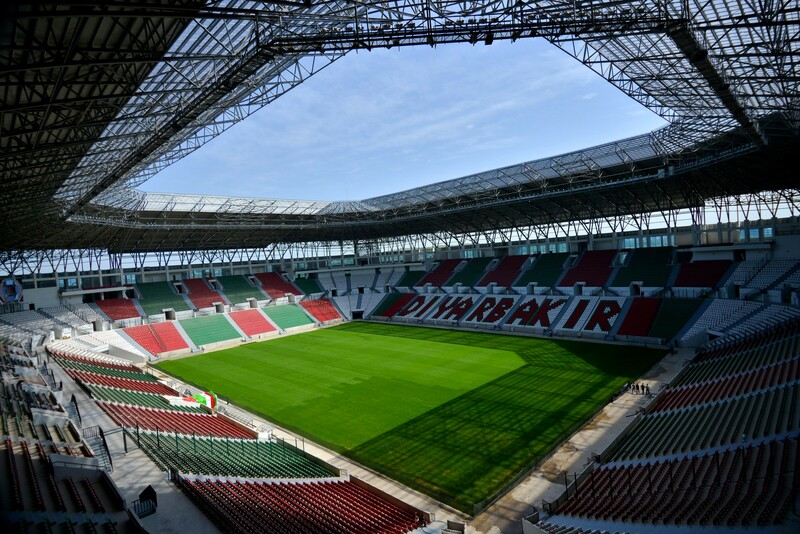 In 2012 the city was included in the stadium-development programme by Housing Development Administration (TOKI), by 2013 the concept was ready and in spring of 2014 construction officially started. 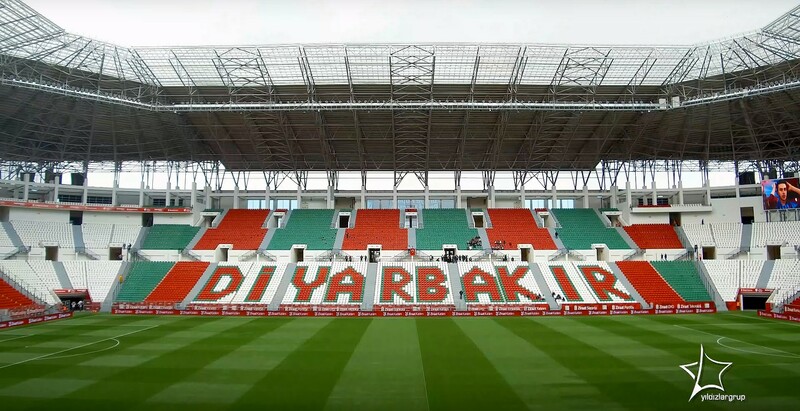 Unfortunately at the same time future host Diyarbakirspor went through its biggest collapse in history, disbanding entirely and beginning from scratch at amateur level. Fears of the club not being able to fill such stadium went along with concerns over growing construction delays. 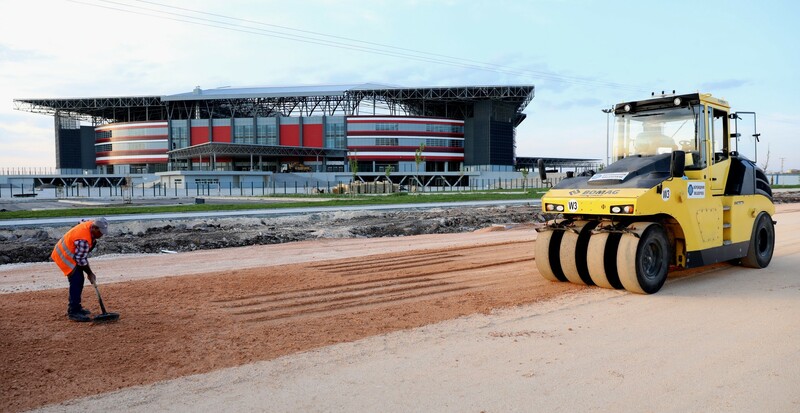 Initially hoped to be ready in 800 days, the stadium eventually took over 1,400 days to complete, being officially commissioned in April of 2018. It also proved significantly more expensive than initially planned, costing TRY 160 million instead of contracted 126 million. The building's location may have seemed absurd at first, in the fields over 3 km west of any existing settlements. 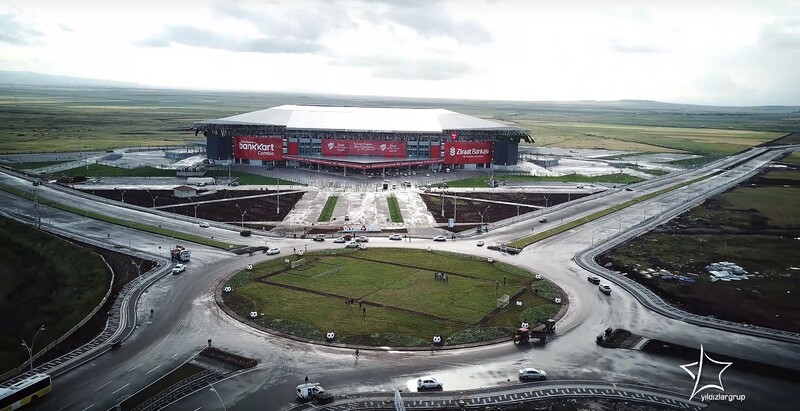 However, this is the prospective development zone of Diyarbakir. 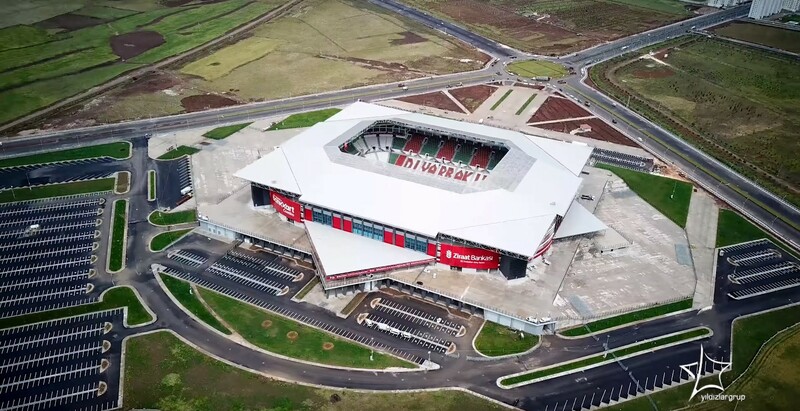 By the time the stadium was delivered, new residential estates have almost reached it, while new wide avenues meeting at the stadium were growing to reach the outer ring-road. In total, the stadium and adjacent parking sites cover 25 hectares. The concept includes several interesting features. 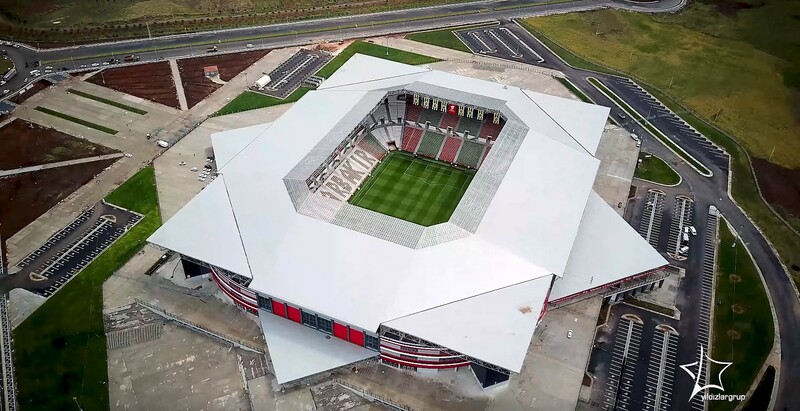 First, the stadium was built with a footprint shaped after an eight-armed star. A prominent symbol in Islam overall, in this case the shape is inspired more by Diyarbakir's most famous attraction, its ancient city walls. In reality the fortification is irregular in shape but is represented in the city's crest as an octagonal fortress. There are also less monumental associations. Bright red decorative elements inside and out are taken from the city's most cherished export, the watermelon. 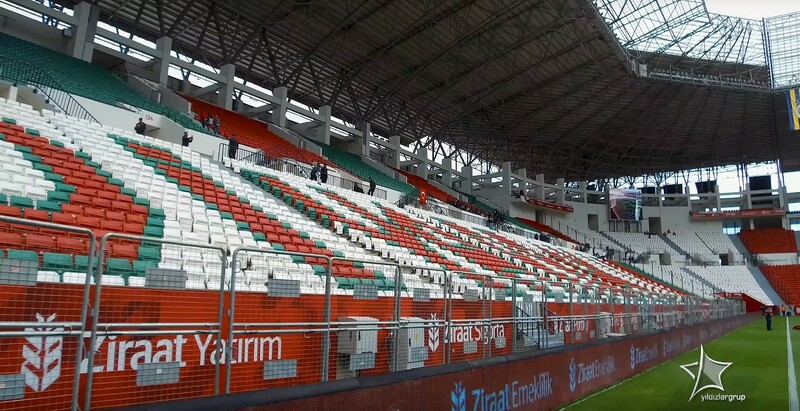 Its colours, red and green, are also those of Diyarbakirspor, owing to the fusion of two teams (red Yıldızspor and green Diclespor) back in 1968. Initial vision suggested the stadium would be extensively glazed, resembling a gem with angular form. However, due to much limited budget almost all of the glazing was scrapped during optimisation. While clearly visible, the changes don't mean it's not interesting, however not as awe-inspiring as was proposed at first. Even its seating layout escapes most common schemes, with an inner concourse and irregular vomitorium layout. Even though Diyarbakirspor was still in 4th league upon opening, the stadium was packed during the first game against Tire 1922. Just over a week later it hosted its first national event, the Turkish Cup final between Fenerbahce and Akhisar. No, these aren't random words that popped to our mind. 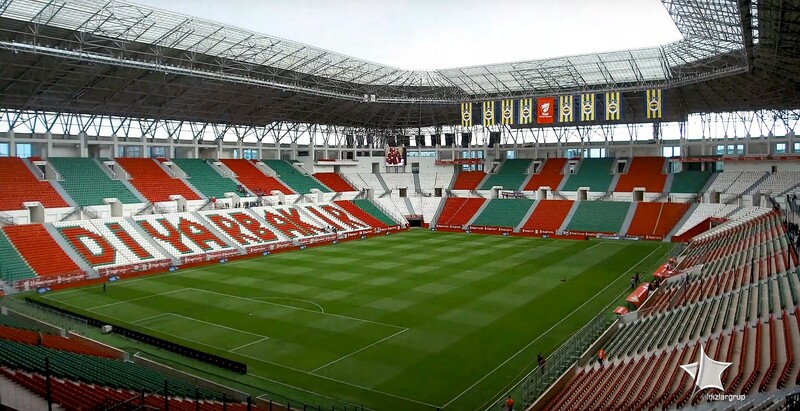 They're all what inspired the unorthodox stadium in Diyarbakir, eastern Turkey. 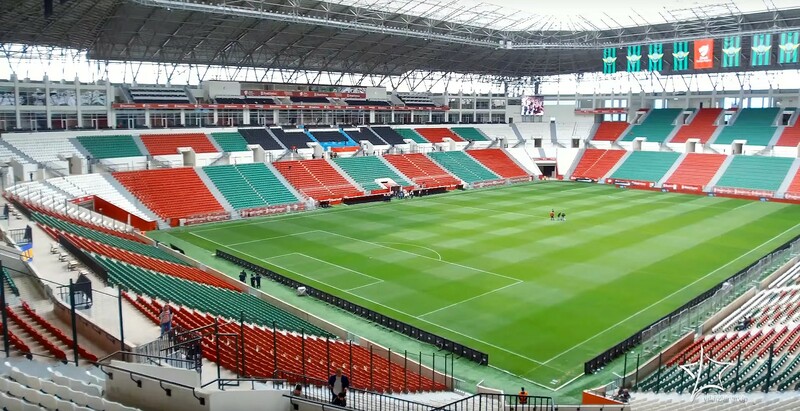 It's not as odd as it sounds but surely has no comparison with any stadium we've seen. 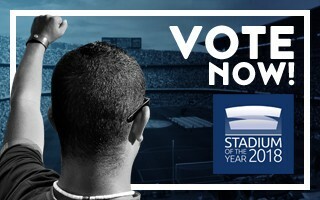 04.02.2019 Stadium of the Year: Your time to vote! 27 stadiums from 11 countries. List is dominated by Russia and Turkey but who will win? That's a question that you may answer. 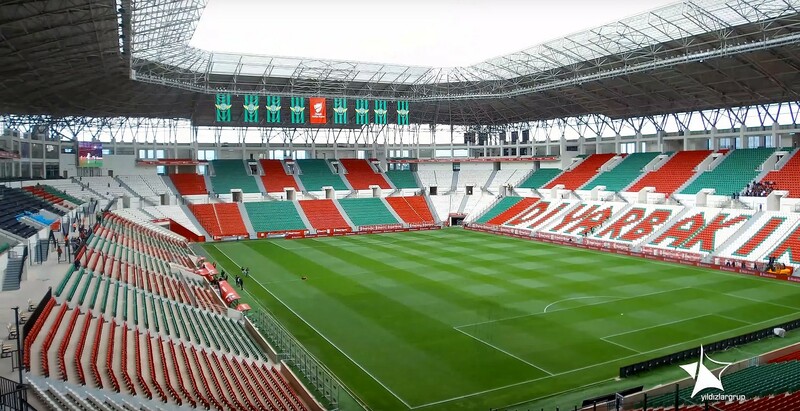 Just check the list and select the best stadiums of 2018!